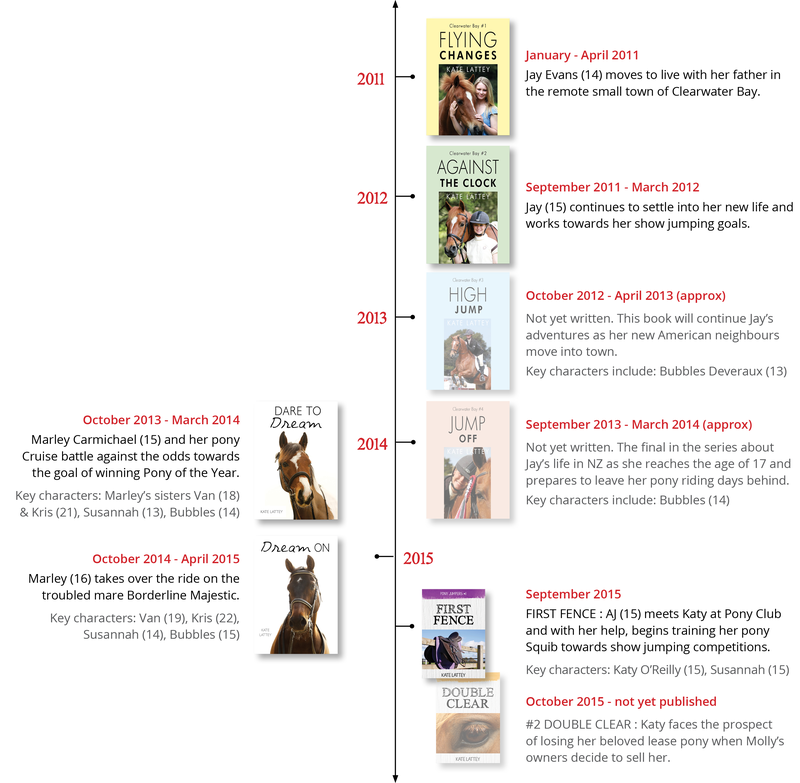 Here’s a little something I’ve been working on… a timeline that explains how each of my books (and their key characters) tie into each other. I will keep it updated as each series continues, but for now, this’ll do. Click to enlarge. Further questions? Email me at nzponywriter@gmail.com and ask away!